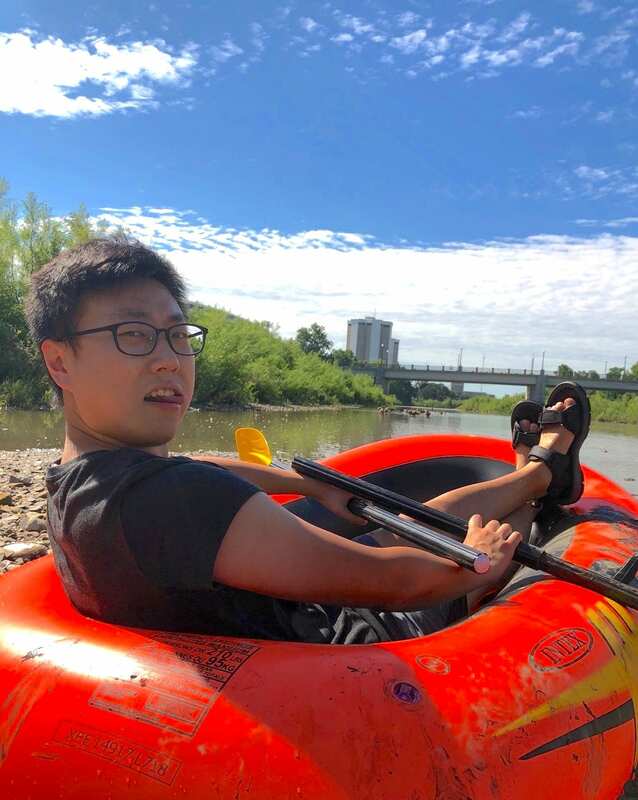 On Sep 2 2018, I accomplished something really big – commuted to school from my house through rafting on the Olentangy River. It all started with a random thought: people drive, walk, bike, skateboard or scoot to class. That’s just so boring. Are there any other creative ways? I lived really far north from campus and my apartment is next to the Olentangy River. One day I was browsing through Amazon and saw this $20 inflatable raft. So why not take a raft to school? I bought it immediately. Then, I SAILED! The river was very gross. I was almost attacked by a group of ducks. However, it was the best adventure ever. Ok this story might sound stupid. However, it has some deeper meanings. After spending 4 years in the business school and being ready to start a full time career in consulting, I realized I want to be a philosopher. I want to create a theory so that people can use it to live a better happier more fulfilled life. So how is rafting related to philosophy? We all live in some sort of prisons: prison of Ohio, prison of college, prison of business world… Inside the prison there are lots rules, social norms, restrictions that control our life. All of our behaviors and thinking are heavily manipulated by the prison. And we don’t really notice the existence of those prisons. What is real then? Are we truly living in our best life? Do I really care about things I do every day (e.g. class, work, unnecessary social outings)? Why can’t I live freely and do things I truly enjoy? This rafting experience was an attempt to challenge the prison. Over the past summer, I interned with Smithfield Hog Production in Northwest Missouri as an animal care intern on a sow farm. My goal after graduation is to attend veterinary school with the hope of becoming a swine production veterinarian. 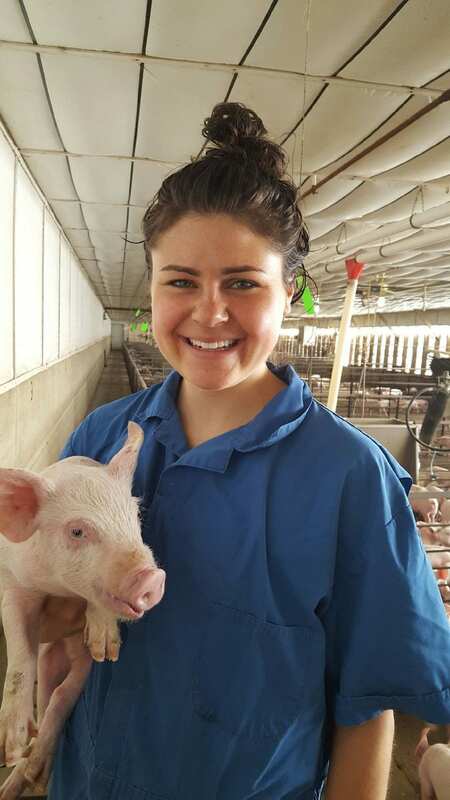 My internship opened my eyes to all of the opportunities within the swine industry. I spent the majority of my time on a research project that focused on reducing pre-weaning mortality in piglets with alternate sow feeding methods. Over the course of three months, I rotated through different aspects of pig farming, spending time in breeding and farrowing, and taking trips to feed mills, a packing plant, and North Carolina research farms. I gained further appreciation for all of the effort that goes into producing safe, nutritious meat for the world. Working with pigs and farmers is a wholehearted and rewarding experience. I am excited to dedicate my future to the improvement of animal care and agriculture. This September, I had the amazing opportunity to perform with the professional opera company, Opera Columbus, in their production of Madama Butterfly. This was my first time dancing in an opera, and it was an amazing experience to work with so many talented artists in a performance world that was new to me. This opera was a contemporary interpretation of Giacomo Puccini’s Madama Butterfly. Our story told the tragedy of a woman who was abandoned by the man she loved. My role as a dancer was a supporting role to the lead Cio-Cio San (Madama Butterfly) and was a major role in helping translate the Italian libretto into the more universal language of dance. Something super cool– our dancing incorporated American Sign Language as a tool to narrate and inspire movement. Many nights of rehearsal had culminated into two shows at the beautiful Southern Theatre in downtown Columbus. The process challenged me in many ways, and I can definitely say that I have grown so much as an artist through it. Hopefully, I will get a chance to perform in another opera in the future. Over the summer, two SPHINX 112 Links traveled with the President’s State Tour on the Student Life Buckeye Bus. Karsen Kaple and I witnessed the different ways Ohio State impacts the greater workings of people in the state of Ohio. The two-day experience was incredibly eye-opening and allowed us to see how far the reaches of Ohio State really go. Part of that experience included learning all about OSU as a land-grant university and how that component is near and dear to the Ohio agricultural community. On our trip, we visited the brick yard that made all of the bricks in the Ohio Union, watched a med flight practice at the OSU airport, and visited Buurma farms in Karsen’s hometown. We also mingled with alumni at the Rock and Roll Hall of Fame and volunteered at the Greater Cleveland Food Bank. Our trip wrapped up by visiting a pump manufacturer and Flying Horse Farms, a camp for children with pediatric illnesses. Overall, the trip was incredibly informative and such a fun experience to be able to share with my fellow link, sweet Karsen. On October 5th, 2018, Illuminating Link Matt Loxley hosted the second annual Queer Agenda Comedy Show at Ohio State. 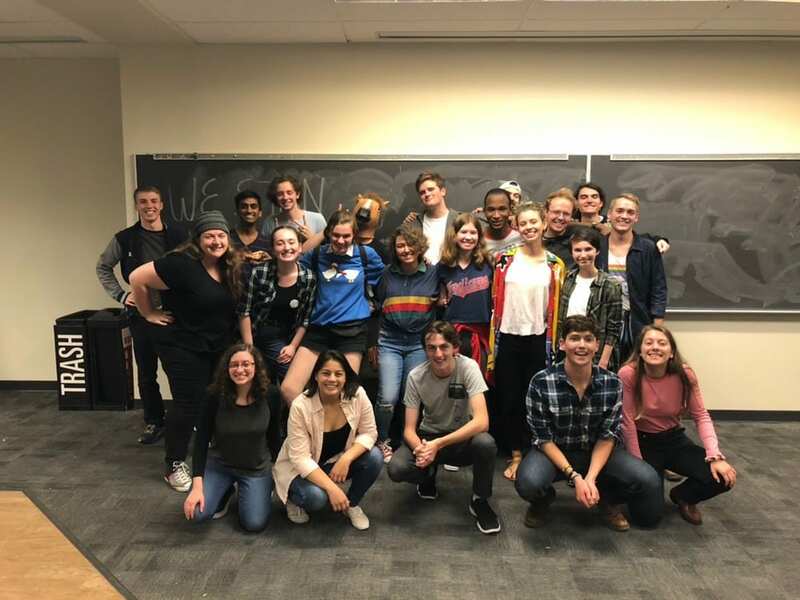 He established the show on a tipsy room reservation made at a comedy after party, and the show has blossomed into a chance to showcase the LGBT+ voices of Ohio State’s many comedy organizations. In 2015, there were only a handful of openly LGBT+ comedy performers at Ohio State. At the October 5th show, however, almost 30 comics came together to share their experiences, perspectives, and gayest jokes with an audience of almost 80 people. There were costume changes, improv, wigs, sketch, stand-up, and a panel debate on the queerest monster of all time. The show will be passed down to one of the younger queer comedians on campus, and Matt is hopeful that it’ll keep growing after he leaves and continue to provide a space for comedic voices that are not usually heard. As the winner of the U.S. Department of Transportation’s first-ever Smart City Challenge, Columbus was awarded $50 million in funding and the designation as America’s Smart City. The city is “becoming smart” by embracing the reinvention of transportation through technology to accelerate human progress. 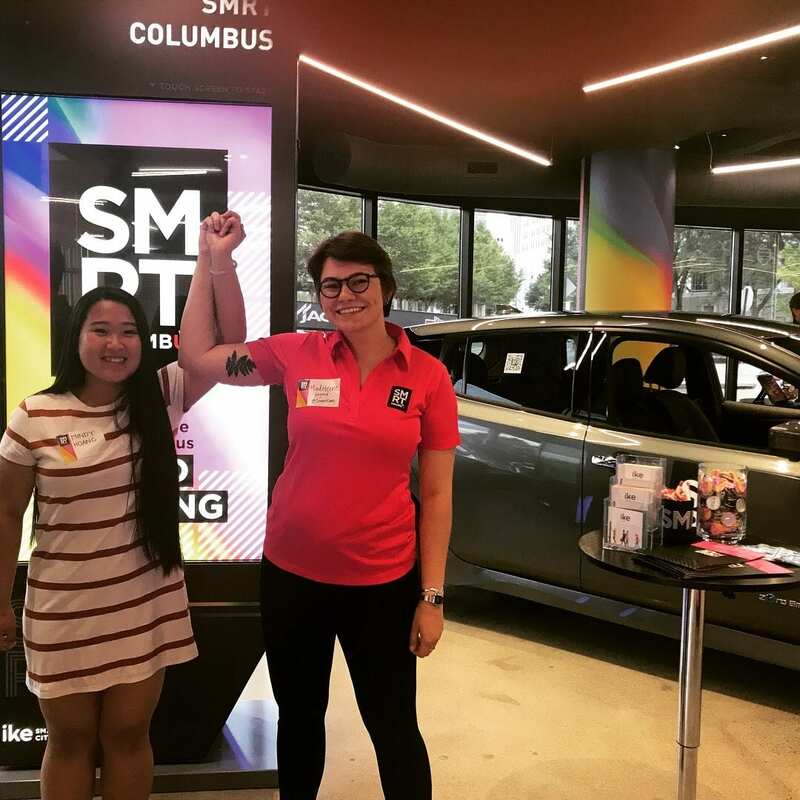 This past summer, I interned on this project through the Columbus Partnership, focusing specifically on the marketing and communications strategy around electrification. Coming from an academic background of development, economics, and city and regional planning, I’ve had a significant personal growth through this position. I haven’t had much experience with marketing, but I have since become inspired by the space. I recently heard that it isn’t about marketing, it’s about mattering. The intersection of storytelling, investment in communities, and technology that is so much of the Smart Columbus movement has provided me with a new way of thinking that is future facing and unafraid of the unknown. As Secretary of the National Society of Black Engineers Region 4 Executive Board, one of my duties was to the plan the Fall Regional Conference. The conference was in Cleveland, OH, October 25-28, and it included professional development workshops, toolkits for academic success, and a career fair with 30 companies. More than 880 attended, from third graders to professionals, including 36 Ohio State students. Not only did Ohio State attendees leave the conference with job offers, they left as winners. 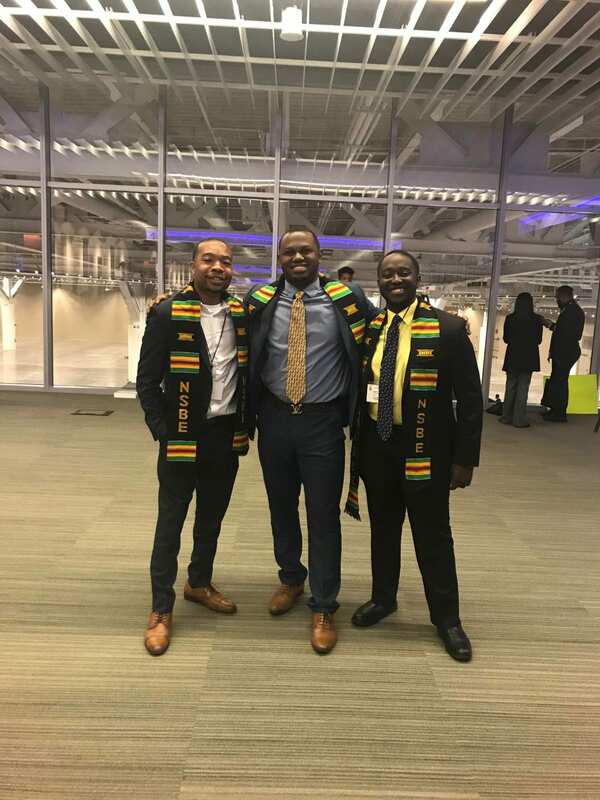 Ohio State won first place in NSBE Debaters, first in the Jeopardy styled Academic Technical Bowl for the third year in row and second in the Technical Research Exhibition. 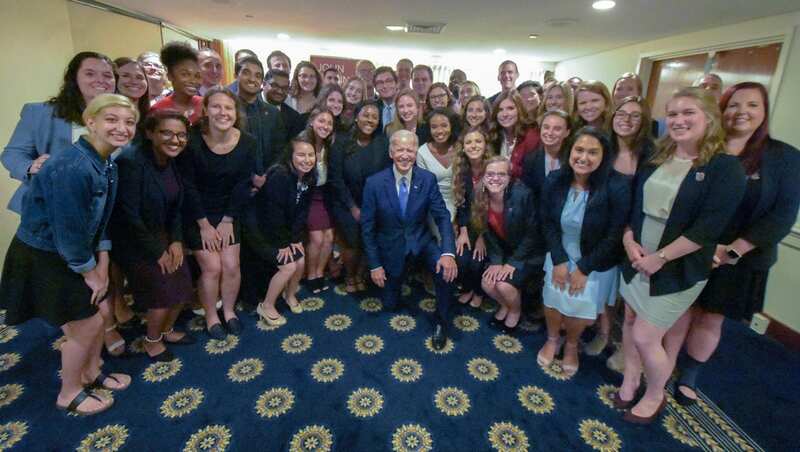 This summer, I lived, worked, and learned in DC through Ohio State’s Washington Academic Internship Program (WAIP). For three months, I lived just blocks from the Supreme Court. I spent most of my days interning at the National Partnership for Women and Families, a nonprofit that conducts policy research and advocacy work on issues such as paid leave, the wage gap, and reproductive rights. Outside of my internship, I networked with professionals, attended professional development workshops, and toured government agencies, think tanks, and nonprofit organizations in DC, all while writing a capstone policy paper on the Family and Medical Leave Act. So many of the experiences I had this summer felt surreal. I met Former Vice President Joe Biden (the recipient of the Glenn College’s Excellence in Public Service Award), sat in a hearing on Capitol Hill listening to Sherrod Brown passionately speak on the rights of working people, and saw Bernie Sanders walking out of the metro. As I formed relationships with gracious Ohio State Alum in the DC area I thought a lot about the mark I want to leave on my country. Overall, WAIP deepened my passion for public service. “You’re going to be on the bus for how many hours? !” My roommates surveyed the deplorable mess that was my room, as I hurried to throw clothes into my suitcase. “Eight,” I muttered as I shoved shoes into the bag before beginning the arduous process of forcing the zipper to close. Seven minutes later I was flying through the door of my apartment and running towards campus to board the bus, that I could only hope, had not left in my tardiness. I exhaled a sigh of relief, to find the bus still parked in the union roundabout upon my arrival and quickly climbed aboard the vehicle that was to be my home for the next four days. I was honored to be afforded the opportunity to spend my fall break traveling to Birmingham and Montgomery, AL and Nashville, TN with the Ohio State Office of Diversity and Inclusion. 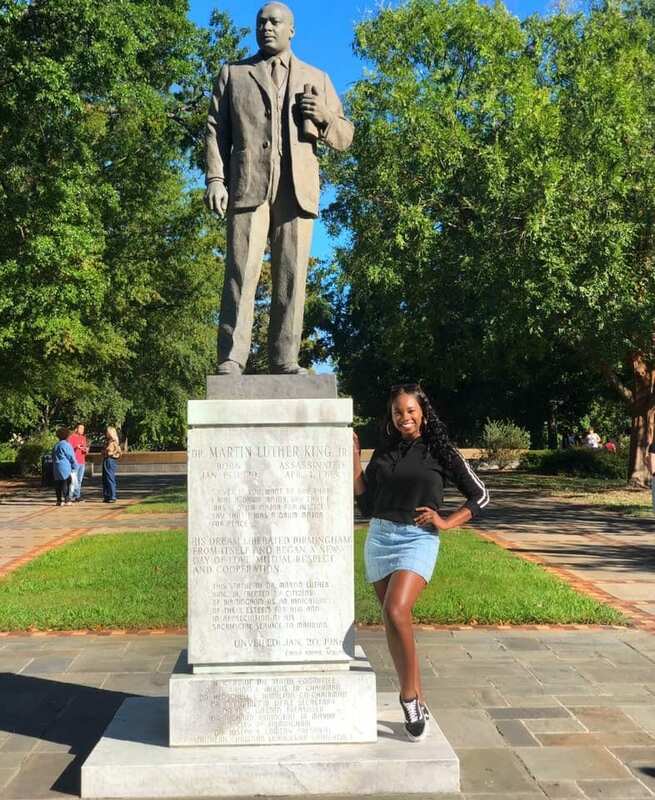 This all-expenses paid trip, gave forty students the opportunity to travel down south to explore the roots and historical culture of the Civil Rights era. Our first stop in Alabama led us to the Birmingham Civil Rights Institute, which features vivid exhibits of the struggles of activists throughout the Civil Rights Movement in the 1950s and 1960s. The following day we were in Montgomery, touring the Equal Justice Institute, “a non-profit organization that provides legal representation to prisoners who have been wrongly convicted of crimes”. Lastly, we found ourselves at the national Rosa Parks Museum, reading the first-hand accounts of the Montgomery Bus Boycott. This weekend experience was transformational in ways I could not have imagined. Not only did I leave the comfort of Ohio State to explore Alabama and Tennessee, but I connected with students I otherwise would have not have met. Collectively, we were able to visit these sites laden with historical symbolism and engage in raw reflections and discussions. I am incredibly grateful to be a part of a campus community that fosters student growth with opportunities such as this trip. My grandfather moved to Preble County, OH in the mid 1950s from his father’s dairy farm. Since then, my grandfather has primarily farmed corn and soybean crops, my father Alan was raised on the same farm that I grew up on. It’s truly a blessing to work alongside my father and grandfather everyday. Grandpa Len will be 81 this coming March, but he still shows up each day to do what he loves. Our family is proud to help in the production of America’s most valuable export. We also raise Hereford cattle and Cross-bred sheep. Being inducted into the 112th class of SPHINX and my brother, Ryan, being inducted into the 111th class of SPHINX were incredibly impactful moments in my family’s life. 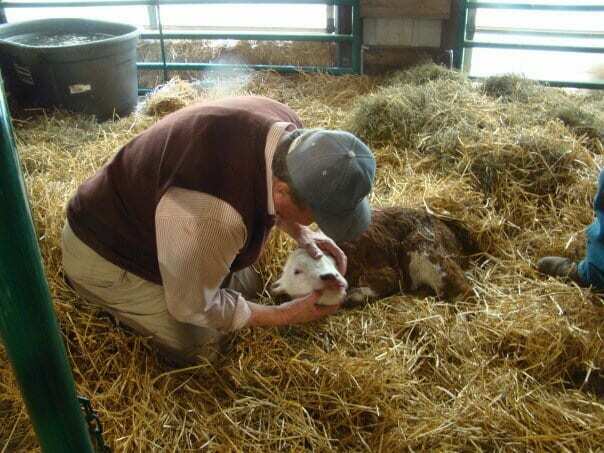 Agriculture, Ohio State, and Family are some of the most important pieces of my daily life. If you find yourself in Preble County, feel free to reach out to your fellow link to see what my daily life is like. Walking into the National Endowment for the Arts for my first day as an intern in Design and Creative Placemaking was terrifying. Surreal, but terrifying. I’d studied the NEA, the independent federal agency dedicated to supporting and funding the arts nationwide, for years in Arts Management classes. Interning for the storied agency was a dream come true. “It is no longer ask what your country can do for the arts, it is ask what the arts can do for your country”, explained former NEA Chairman Rocco Landesman. 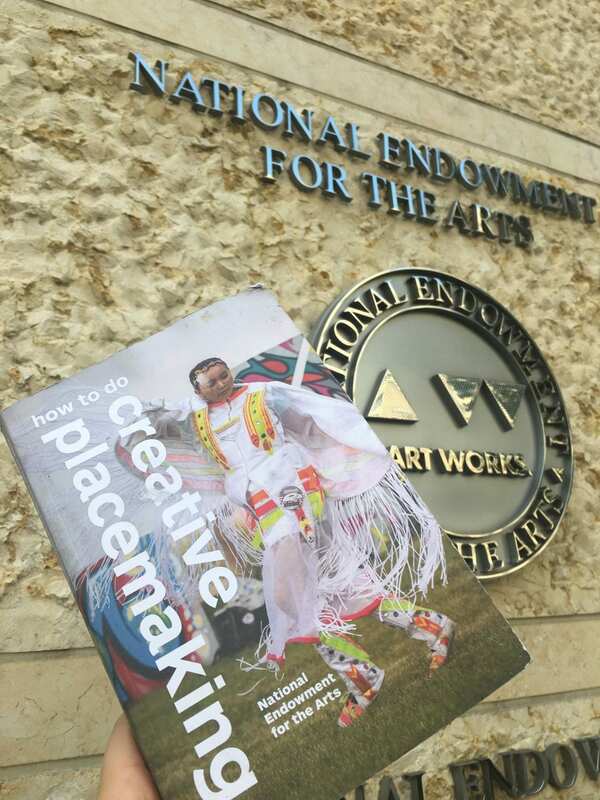 In 2010, the NEA identified creative placemaking, the integration of art and culture into community development practice, as a new discipline and funding priority. Creative placemaking has exploded in popularity across the country. The discipline is defined by innovative projects like inclusive stormwater management plan led by an artist in Fargo, ND and a community storytelling initiative led by youth in Savannah, GA.
As an intern, I drafted monthly Design and Creative Placemaking email newsletters to 10,000 subscribers, sharing resources and opportunities with practitioners nationwide. I created case studies of successful Creative Placemaking and Design projects for staff to present at conferences and on webinars to potential applicants and stakeholders across the country. I built a data matrix from Knowledge Building grants applications and reports, helping the Design and Creative Placemaking team understand the impact of the grants on the creative placemaking discipline nationwide. Interning at the National Endowment for the Arts strengthened my conviction that art makes our lives worth living. I’m confident that the arts are alive and well and improving our country in every city, town, tribal nation, and village nationwide. Over the last 2 years, I’ve been working with the College of Public Health to bring clothes to opioid-epidemic-affected families. It’s touched my life in a huge way and how I look at those struggling with addiction is different. The college has been doing its part in working with populations hardest hit. We’ve partnered with Equitas and Safepoint to reduce the spread of STIs and STDs among users. 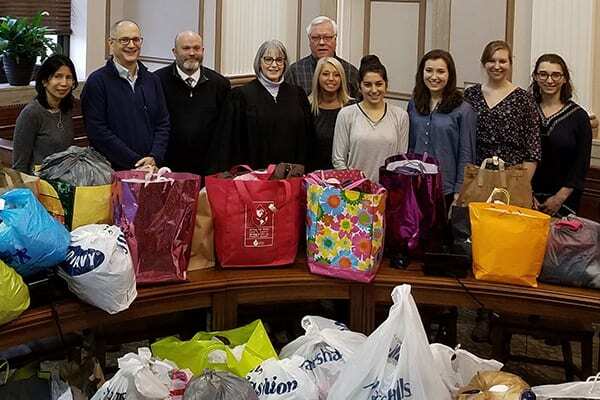 We’ve even established a partnership with counties in southern Ohio for a clothing drive. It’s a epidemic that’s touched many people in our country. You may not be able to give time, but you can change the stigma around users. It’s always a little jarring for me to hear when people believe that addiction is an ongoing “choice”. What might have started off as a “choice” spiraled into a dependence. A lot of individuals addicted to a substance feel withdrawal symptoms when they go without these substances and they do not feel normal again until they have their substance. It’s the same when someone has a headache and drinking coffee “cures” their headache. In my previous sentence, I put choice in quotes because a lot of these individuals started off using opiate derived painkillers and then turned to street drugs when prescriptions got too expensive. We must advocate for comprehensive rehabilitation therapies and reduce the stigma of addiction. Recovery is not a linear process, but we should work to understand the situations and causes of users and get those who have addiction the help they need. Last summer I was selected to be in the 7th cohort of the Summer Public Health Scholars Program at Columbia University Irving Medical Center. The purpose of the program is to expose undergraduate students to the intersection of public health with their desired health discipline. 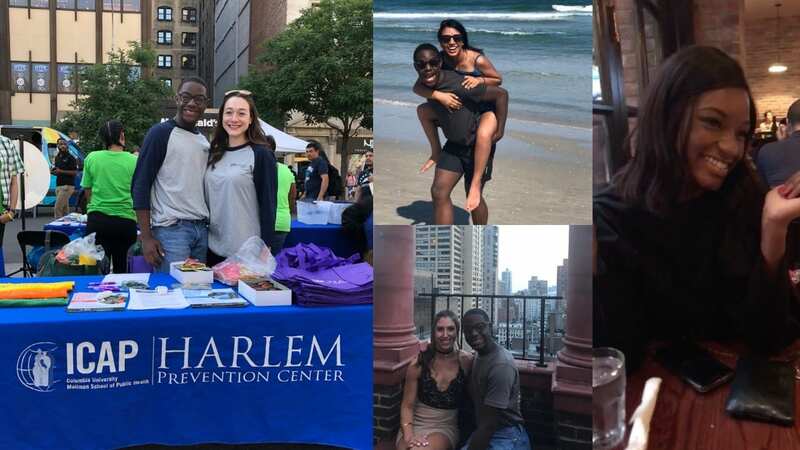 Through the program, I had the pleasure of being a clinical research intern at the Harlem Prevention Center. I assisted in an ongoing study that seeks to evaluate the efficacy of injectable pre-exposure prophylaxis (PrEP) in HIV-uninfected men and transgender women. Aside from helping with data analysis and basic laboratory work, I had my own project that focused on the effectiveness of community outreach as a method of recruiting participants into the study. My internship showed me that medicine and research extend outside of the hospital setting, which, ultimately, solidified my desire to pursue medicine. 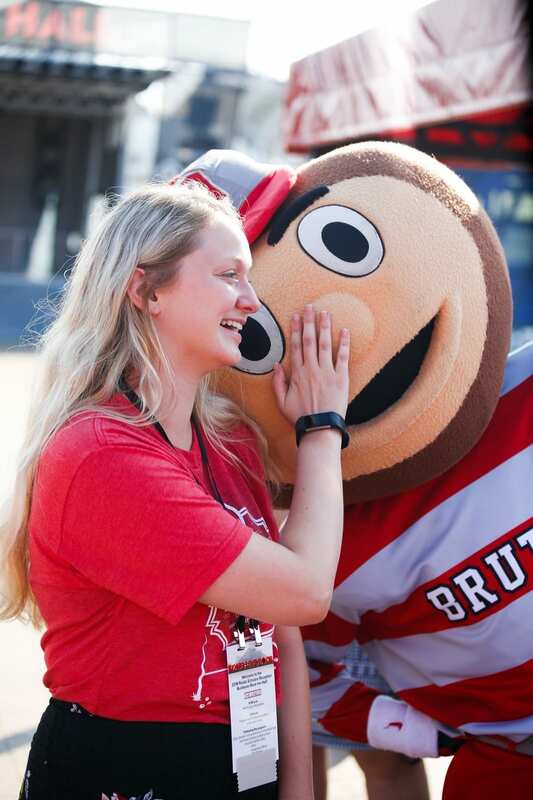 Aside from my amazing internship, I was also able to connect with tried and current links despite being so far from Ohio State. Some notable SPHINX link-ups include my various trips to visit Vattsa (112), meeting up in Midtown with grand-link Cheryl (110) and dinner in Harlem with Brooklyn (111). My internship combined with the SPHINX love I received made my summer in NYC one of the best summers of my life. oad, I knew that it had to be a part of professional and life experience. Russia surprised me at every turn, both confirming truths I had already known through study and adding to the rich historical and political enigma of Russia as whole. I lived and studied at a university in St. Petersburg where I attended advanced Russian language classes taught by a local teacher. While I owe much of my success in Russia this past summer to the thoughtful dedication of my past professors and instructors, nothing can quite compare to the intimate experience of learning a language from a native speaker while living in a situation that challenged me everyday. The small act of purchasing groceries, making small talk on the metro and assisting tourists looking for the FIFA Fan Fest became a regular occurrence that not only influenced the rate at which my Russian developed, but my confidence in speaking as well which I ultimately believe to be the main battle when it comes to language acquisition. Not only were the lectures stimulating, the time I spent exploring the history and landscape of Russia firsthand left me with a profound understanding of the Russians as people. They were dynamic in a way no book could describe and I discovered this as I shared in their cultural moments such as, toasting as Russia succeeded in a football match, boiling up pelmeni with a master chef, and dancing to traditional folk music. As someone who enjoys museums and their offerings, I had a field day throughout my free time in St. Petersburg. I was able to peruse the Hermitage’s treasures a number of times, comparing its distinctly Western artifacts to the Russia Museum’s more slavic offerings. I observed Russian contemporary art, studied the history of Russian vodka making, and visited many important historical landmarks relating to Russia’s past in the Second World War and Soviet identity. Viewing the Leningrad Memorial and feeling the loss that the Second World War took on St. Petersburg and Russia’s people will forever remain with me, as will the experience of seeing Lenin lying in his tomb. Russia, like any nation, cannot be summed up as wholly bad or entirely good. There are a multitude of factors that go into a nation’s identity, values and history and the only way we can even hope to understand this on the level of locals is by being their ourselves, shedding preconceived notions and experiencing life abroad as individuals. I thank Russia for opening its borders to me for study at a time of high tension. What I learned in a short summer will assist me greatly in my future. Due to the support of generous scholarships, I feel stronger and better equipped to provide my nation with analysis of Russia’s language and culture in a way not quite learned sitting in a classroom. In September, links of the 112th Class were invited to attend The Office of Student Life’s 2018 student leadership exchange with students, staff, and faculty members from Penn State University. Taylor Lonas and Karsen Kaple, along with other representatives from Ohio State, interacted with administrators from Penn State’s Office of the Vice President, including Vice President Damon Sims. Additionally, these representatives were able to meet and exchange ideas with other student leaders at Penn State. They toured various facilities at Penn State, including the student union, recreational sports facilities, and dining locations. 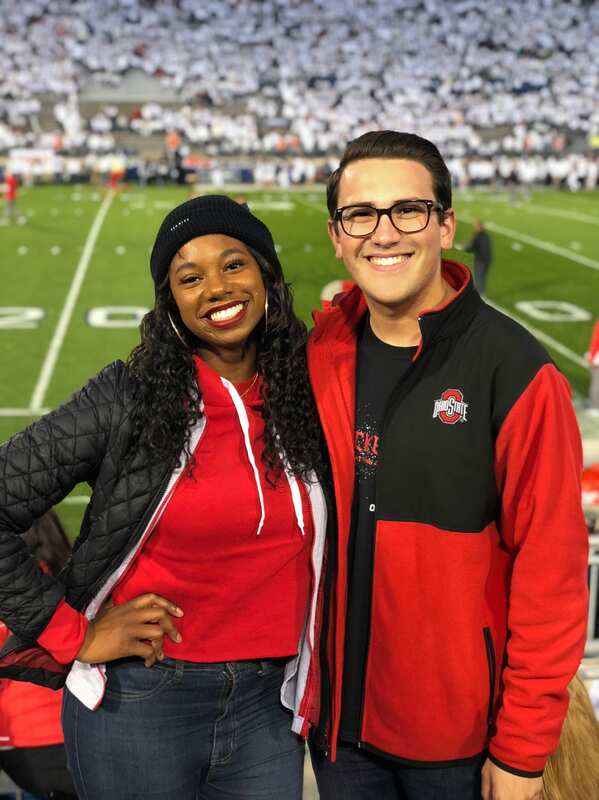 To conclude the two-day leadership exchange, the students and staff representing Ohio State were able to attend the football game between Penn State and Ohio State where the Buckeyes were able to pull off a dramatic 27 – 26 victory against the Nittany Lions.